Sponsored by Garden Club of Montclair. 60 South Fullerton Ave, Montclair, NJ 07042. 1 pm. 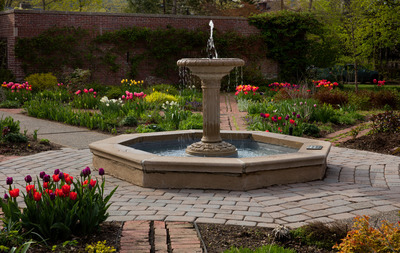 Designed by landscape architect and Garden Club member Avis Campbell and installed in 1952, the gardens are inspired by the Wheel of Life and feature a pedestal fountain surrounded by roses and beds of flowering perennials and annuals. Garden Club Members will be at the garden to answer any questions. Come see the magnificent tulips in bloom! For more info: http://gardenclubofmontclair.com/avis-campbell-gar, gardenclubofmontclair@yahoo.com. Free.